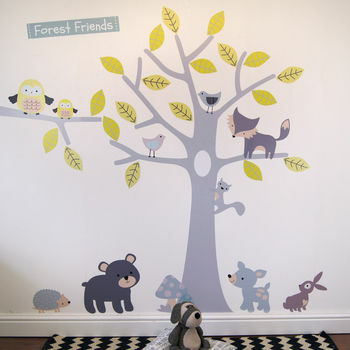 Our lovely Woodland Friends Wall Stickers. 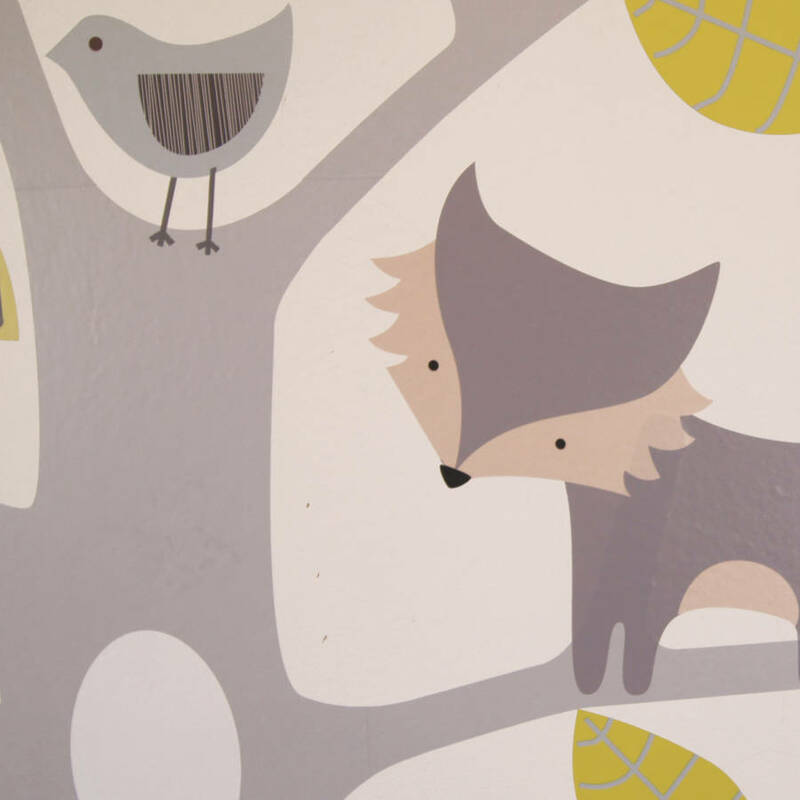 Perfect for a child's bedroom or nursery or as an alternative gift! Personalise your forest friends wall stickers for an extra £5.00 please use the options to leave your details. 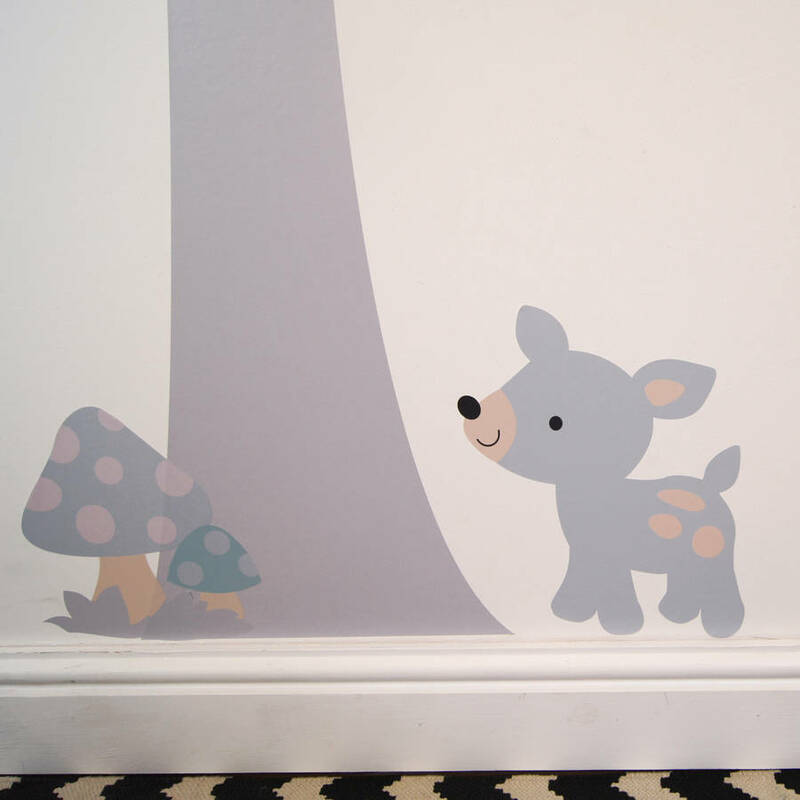 These re usable and re positionable pastel forest friends wall stickers are fabulous for children's bedrooms, nurseries and playrooms. Printed using enviromentally friendly inks onto premium quality vinyl. They will not scratch and can be wiped clean. They are easy to install and can be re applied over and over again. All items come in sections and can be positioned as you wish. Everything in image 1 comes included in the standard set. 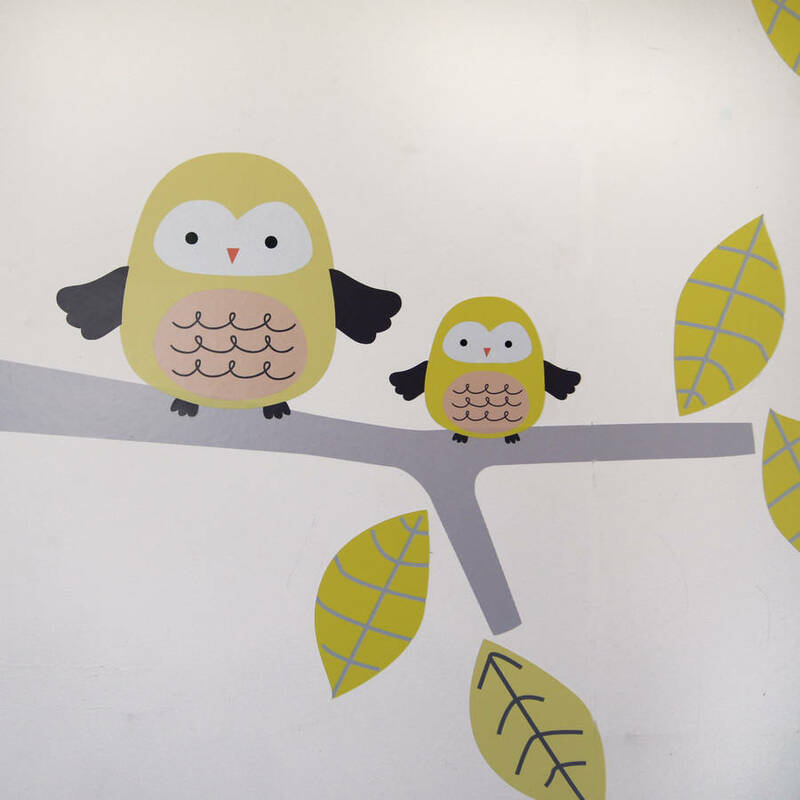 There are a range of optional extras which can be added to complement your forest friends wall stickers and continue the theme around the nursery or bedroom.